DESCRIPTION FROM THE PUBLISHER: Space is still the final frontier and Mars continues to make news and attract generations of young people. 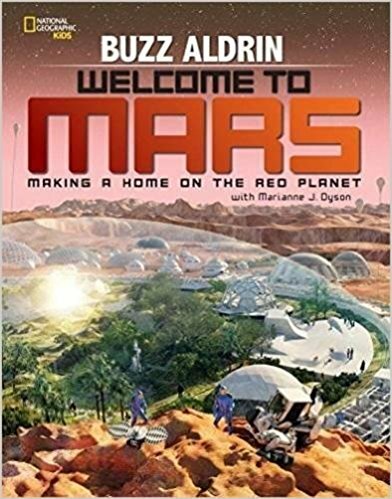 In this fascinating book, hero-astronaut Buzz Aldrin challenges curious kids to think about Mars as not just a faraway red planet but as a possible future home for Earthlings! What will your new home be like? How will you get there? What will you eat for breakfast? Find out what life might be like far, far from Earth as you navigate your way through this fun and fascinating book. What kid wouldn’t want to blast off with him on this (literary) journey!